Eva is a lovely little throwback to the thirties. 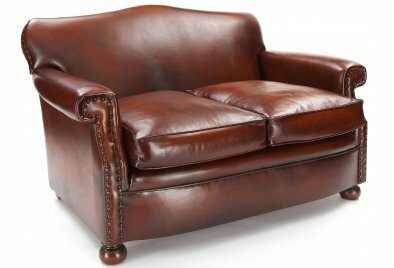 She’s a classic small leather sofa with a beautiful bow front and pretty scrolled arms. 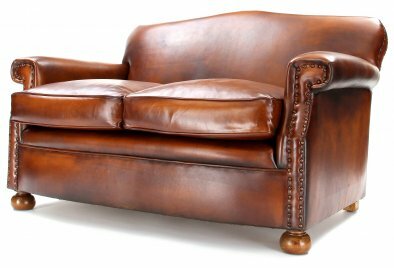 You'd never guess such a classic leather sofa would have such a sturdy hardwood frame and a sprung base underneath. 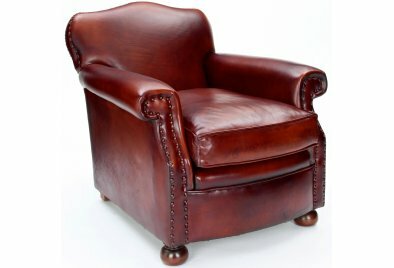 Every inch of her - apart from the lovely hand polished, walnut stained, hardwood bun feet - is upholstered with our lovely, smooth Original Leather. She kinda looks familiar! – Don’t forget, she has a little sister that can keep her company.